A political upheaval in the Republic of Burkina Faso during a three-day period, October 29-31, 2014, resulted in the premature departure of President Blaise Compaore who had been head of state since 1987. What triggered the mass movement of over a hundred thousand protesters in the streets of the capital city Ouagadougou was Compaore’s attempt to amend the constitution to eliminate the two-term limit on the presidential mandate. He wanted to run for a third term, and the population was fed up with his long misrule. The mob burned down the parliament to prevent the enactment of the constitutional change, and then forced the President to flee for his life in a French military helicopter. It was notable that the Burkina military, especially the elite presidential guard, did not defend the president against the protesters. Since 1990, the majority of African countries have re-written their constitutions to eliminate the so-called “one-party state” in favor of multiparty democracy. One common feature of the new constitutions was the inclusion of a two-term limit on heads of state. 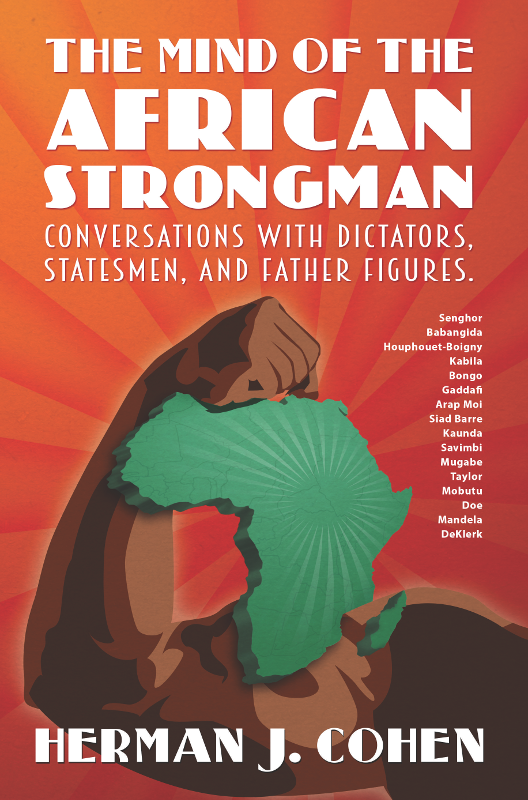 The idea was to stop African strong men from remaining in power indefinitely through the falsification of election results. The implementation of the two-term limit has worked as intended in a number of African countries, such as Senegal, Mali, Ghana, Kenya, Botswana, Tanzania, Zambia, and Mozambique. In all of these countries, the elected heads of state departed after two terms, and in some cases opposition leaders were elected in their place. In other cases, especially Tanzania and Mozambique, the ruling parties continued in power by continuing to elect one of their own for successive two-term mandates. In other words, power has remained in the same club, but under fresh faces at the top. Prior to the Burkina upheaval, a number of African heads of state did succeed in changing their nations’ constitutions to eliminate the two-term limit for their own benefit. These have included Paul Biya in Cameroon, Idris Deby in Chad, Roweri Museveni in Uganda, and Omar al-Bashir in the Sudan. All of these heads of state have essentially made themselves “presidents for life” through their manipulation of the electoral process. What happened in Burkina Faso to thwart Blaise Compaore’s effort to become the permanent president is the sign of a growing popular trend in Africa on behalf of the democratic concept of rotation in power. Even before Burkina, President Olusegun Obasanjo in Nigeria demanded that the parliament amend the constitution to allow him to run for a third term back in 2007. Despite bribes of one million US dollars for each member-of-parliament, popular outrage caused them to vote against the constitutional amendment. The next major challenge to the two-term constitutional limit is currently taking place in the Democratic Republic of the Congo where President Joseph Kabila is in the midst of his last two years of his second mandate. The DRC constitution provides for a two-term presidential limit with the additional stipulation that the clause in question cannot be amended. Despite this ironclad prohibition on more than two terms, Kabila’s parliamentary majority is blithely discussing the possibility of a constitutional amendment. Kabila was easily elected under the DRC’s new constitution in 2006. He had brought an end to civil war, and he was popular in the densely populated eastern provinces. In the election of 2011, Kabila was re-elected, but all the observers, both international and domestic, condemned the election as a total fraud. Since then, social, economic and security conditions have deteriorated, and Kabila has become highly unpopular. The huge revenues from the Congo’s exports of close to one million tons of refined copper per annum are bringing no benefits to the people. A new element in the DRC is international opinion. Both the American and French governments have warned Kabila and his majority party not to try and amend the constitution. Both are major donor countries, and both see no hope for economic development and honest government as long as Kabila remains in power. Even more important, the cloud generated by Burkina Faso is hanging heavily over the Congo. President Kabila knows that the number and vehemence of the protesters in the capital city of Kinshasa will greatly dwarf the crowds in Ouagadougou if he makes an attempt to change the constitution. Indeed, talk of such a change has diminished in Kinshasa since the events of Ouagadougou. The new trend in sub-Saharan Africa is against strong leaders keeping themselves in power indefinitely. The events in Burkina Faso of late October 2014 will therefore be remembered as a milestone in contemporary African history.